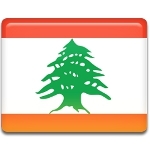 Liberation Day, also known as South Liberation Day or Liberation and Resistance Day, is a Lebanese holiday that commemorates the withdrawal of the Israeli army from South Lebanon in 2000. It is celebrated annually on May 25. The withdrawal of the Israeli Defense Forces (IDF) marked the end of the South Lebanon conflict that began in 1985 but has its roots in the earlier events. Israel first briefly invaded Lebanon in 1978 and than launched a full-scale invasion during Operation Peace for Galilee, also known as the 1982 Lebanon War. In 1985, Israel withdrew to a security zone on South Lebanon. The zone was controlled by the IDF and the South Lebanon Army (SLA), a Lebanese militia which was formed during the Lebanese Civil War. The IDF and SLA fought against Hezbollah and the Palestine Liberation Organization. In 1999, Ehud Barak became the new Prime Minister of Israel. He promised to withdraw Israeli forces from South Lebanon and kept his promise. On May 24, 2000, Israel announced the withdrawal, and by the end of the following day the last Israeli soldier had left South Lebanon. Liberation Day is not a nationwide public holiday in Lebanon, but it is a very important commemoration and a non-working holiday in banks and government offices.